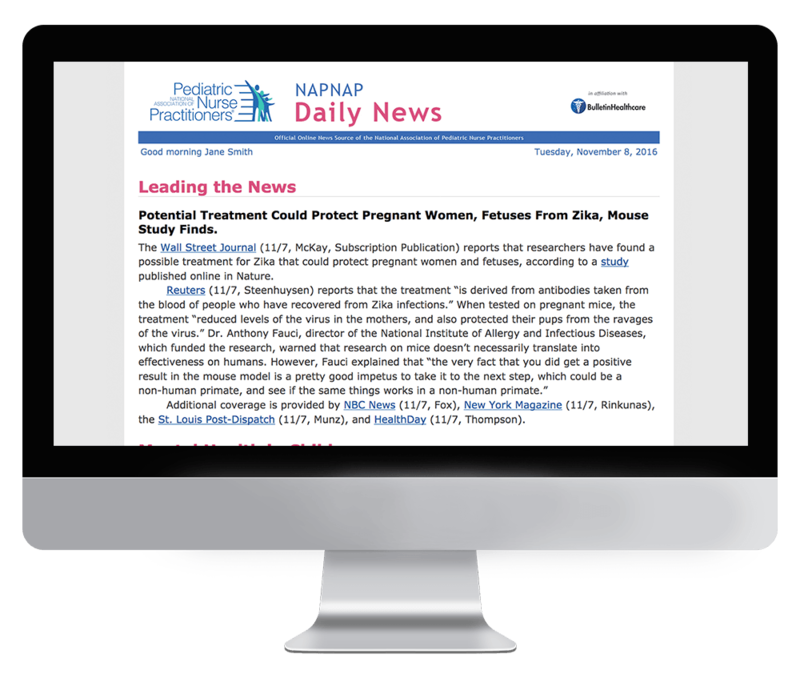 NAPNAP Daily News is the official briefing of the National Association of Pediatric Nurse Practitioners (NAPNAP) and is a highly valued member benefit. It is delivered Monday through Friday by 8 a.m. EST. The National Association of Pediatric Nurse Practitioners represents more than 60% of pediatric nurse practitioners in the United States. Its members represent several facets of pediatric health care delivery, including acute care nurse practitioners, neonatal nurse practitioners, clinical nurse specialists, and many others. Subscription to NAPNAP Daily News is exclusively limited to NAPNAP members. If you are a member of NAPNAP and would like to receive this briefing, please reach out to the association directly.